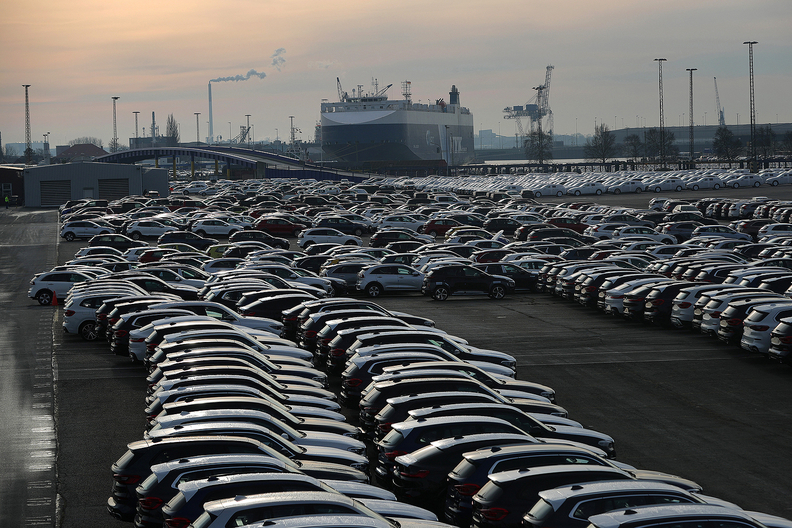 BMW models are stored dockside for export at the Port of Bremerhaven in Bremerhaven, Germany, on Jan. 22. WASHINGTON — Interest in checking the president's authority to use national security as a justification for trade restrictions continues to grow in Congress amid concern the White House will soon impose punitive tariffs on finished vehicles and auto parts. On Wednesday, Sen. Robert Portman, R-Ohio, introduced bipartisan legislation to reform the process for determining national security threats from imports. It is supported by four other Republicans and three Democrats, including Doug Jones, D-Ala., and Lamar Alexander, R-Tenn., both of whom have large auto assembly plants in their states. A companion bill sponsored by two Democrats and two Republicans was introduced in the House. Section 232 in the Trade Expansion Act of 1962 was intended to give the president power to adjust imports during a crisis, such as war, and there is widespread criticism that using the rule violates global trade laws, encourages retaliation against U.S. products and is an abuse of power. "We must hold countries that violate our trade laws accountable, but we must do so in a way that protects American jobs and strengthens the U.S. economy," Portman, a former U.S. trade representative under George W. Bush, said in a statement. "I have repeatedly expressed concerns about the misuse of the Section 232 statute to impose tariffs on automobiles and auto parts, and its impact on Ohio jobs and the U.S. economy as a whole." The U.S. Chamber of Commerce, Business Roundtable and dozens of other trade associations have stepped up efforts to derail Trump's attempts to impose duties on light vehicles and other goods. The American International Automobile Dealers Association, a trade group that represents 9,600 international automobile-brand franchised stores, is also pressing state and U.S. lawmakers to help mobilize opposition to the administration's proposed tariffs on light vehicles. The Department of Commerce is expected by the middle of the month to present findings to the White House from an investigation into the national security harm posed by auto imports. The auto industry, including domestic and foreign manufacturers, is unified in opposing such a move, saying the industry doesn't need artificial government protection from competition. The president has 90 days to take some sort of action based on the Commerce Department's recommendations. Last year, Trump used his 232 authority to slap 25 percent tariffs on steel and 10 percent tariffs on aluminum produced in several countries. Some nations agreed to quotas to avoid the duties. The Trade Security Act would give the Defense Department responsibility for determining the national security threat posed by imports of certain products. The Commerce Department would only develop recommendations for responding if the president decides to take action instead of controlling the whole process. Congress would also have the power to disapprove actions on imports. Last week, even tougher curbs on presidential power were introduced in both chambers by members of both parties. They would give the Defense Department full responsibility for identifying and managing national security matters and even allow Congress to retroactively roll back last year's steel and aluminum tariffs.